The company XYZ is a private limited liability company Incorporated and registered on 9th September, 2002 with the Corporate Affairs commission (CAC). The company intends to expand it’s existing business of Gas production, marketing and haulage. The expansion is on the premise of securing N40million loan facility from Fidelity Bank Plc. At a meeting between the client/directors and our firm – ABC, it was agreed that the necessary information and data should be compiled to produce a feasibility/business plan to determine the viability of the project/facility. To evaluate the operational profitability of the facility and hence expand the business of the company beyond it’s present level. To determine the ability of the company to pay back the loan within the stipulated period. Though our analysis in this report is restricted to only gaseous oxygen and gaseous nitrogen sales, it should be noted that there are other by products that will also generate revenue to the company. This study is in respect of an existing Company whose prime objective of operation is the production of gaseous oxygen/gaseous nitrogen, processing, marketing and haulage. The products of the company are distributed to the general public for use of cooking and to companies for industrial use. The study is to evaluate the viability of the loan to expand the present level of the company’s operation. From the study/projection, the viability of the project has been established as the company will be able to pay back the loan within twenty four (24) months. There is high profit margin from year 1 increasing by a slight percentage to 5 years. Within the five years plan, the company will require Fixed Assets/Equipments amounting to forty million naira N40,000,000 or more to assist in business expansion. The liquidity profile is equally very encouraging with a cash balance of N462,871,000 at 31st December year 5. The plan/study is prepared on behalf of XYZ to assess/evaluate the viability of securing a loan facility from Fidelity Bank Plc. Man power will be obtained locally and the staff strength for the company is about 26 persons. The details are provided in the body of the report. Oxygen and nitrogen are in vest amounts in the earth’s atmosphere with availability put in the order of about 21% and 78% gases respectively. Oxygen is produced by air separation processes that use either cryogenic liquefaction and distillation or vacuum swing adsorption (VSA) separation. It can be stored and shipped as either gas or cryogenic liquid. Oxygen for the fabrication sector focuses on the needs of customers who weld, cut, shape, coat or teat metals and materials. Typical customers include those in the automotive (component supplies, assemblers, manufacturers, repairs and maintenance suppliers) construction, general manufacturing. In the chemical and petroleum industries, oxygen is used in the production of a wide variety of fuels and chemicals. Oxygen is used in the pulp and paper industries for a variety of applications. In the glass industry, oxygen/fuel combustion is used to reduce particulate and NOX emissions in melting operations. Nitrogen also has many industrial uses in the reduce particulate and NOX emissions in melting operations. Nitrogen also has many industrial uses in the gaseous forms which include the liquid nitrogen, which is extremely col. Items that must be frozen to extremely low temperatures for preservation are frequently stored in liquid nitrogen, which is extremely cold. Items that must be frozen to extremely low temperature and pressure, it is used as the air in the inert welding atmospheres. Foods, documents and chemicals are sometimes stored in nitrogen to keep them from oxidizing or reacting with air or water. The list of users for the two products speaks volumes on the nature and size of the market,. This is even so when one considers the few industrial gas plants in the country today compared to the demand for these products. Benin City where XYZ plants are located is well positioned to serve the large market in Delta, Anambra, Kogi, Ondo and Ekiti States. The largest consumers of oxygen today in this zones are “panel beaters” and metal fabricators generally, and this class of consumers are highly concentrated in the target geographical area where this company is a household name with a reasonable level of market share which have been achieved as a result of customer satisfaction and confidence over the years of the company’s operation in the area. The main competitors in the industrial gases market in the region include; BOC gases, Air liquid NIG. Plc, IGL (all in Warri and Port Harcourt). However there are small capacity plants with capacities not exceeding 60cu.m/hr of oxygen. Stiff competition is not observed among them because the market is large and very far from saturation. Each thrives in its own market niche and there is no dominance observed so far among the various gas plants. With the right attitude at XYZ believe that all accident are avoidable. Only fully medically examined personnel are allowed in their work environment. Our safety department trained and qualify personnel know what induction to give and what Personnel Protective Equipment (PPE) to provide for every job. With an healthy staff, with adequate safety orientation having the right type of qualification and experience working in a safety certified environment and follows strict safety instruction, the company get minimum near misses and managed always to avoid accident. Environmental issues are becoming increasingly important in the business world. Companies have become responsible for the environmental impacts of their operations and therefore they are now more aware of problems such as carbon emissions etc. The growth of environmental issues and regulations has also brought greater focus on how businesses manage environmental issues. Ensuring that environmental issues are adequately managed by companies etc. Minimizing waste or better still eliminate or possibility of recycling or selling waste. At XYZ, environmental issues are taken seriously and the impact of the company’s product to the environment is not damaging as the company’s product i.e. nitrogen & oxygen gas depends on air as part of its basic raw materials. The company has a well defined plan of action on the management of environmental issues as part of its policy. The company as part of its plan intends to develop a modern detector that helps to detect when there is leakages in the company’s storage tank and cylinders so as to reduce then negative impact it may have on the environment. 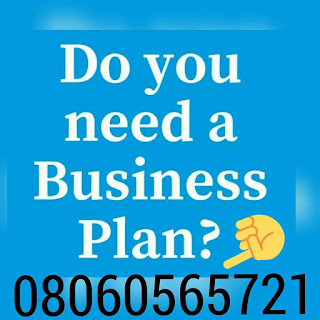 After payment text your name, your e-mail address and bank teller number to 08060565721 and you’ll receive your COOKING GAS / LPG FILLING STATION BUSINESS PLAN & FEASIBILITY STUDY PROPOSAL. Hello Mr.Chudi,I celebrate God in your life and you are a blessing.Considering the plan on LPG displayed on your wall and cost,is it not possible for you to make it for #20,000 Sir.